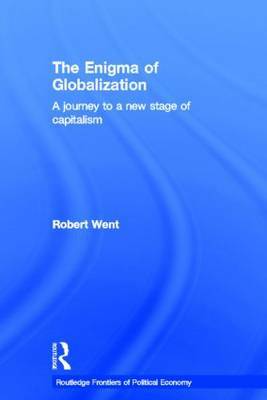 Globalization is theorized in this book as an emerging new stage of capitalism. Robert Went takes us on a journey from the historical roots of globalization through to its relevance in the modern day. This accessible and intriguing book is a must, not only for students and academics working in the field, but will also prove an interesting read for all those with a general interest in the modern global political economy.